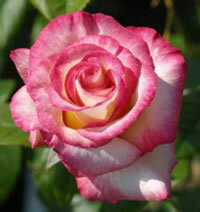 Growing the rose Handel is not terribly difficult however it is somewhat susceptible to the common rose disease blackspot. Because of this you should take care that your rose isn't planted in a location where the soil stays damp for long periods of time. 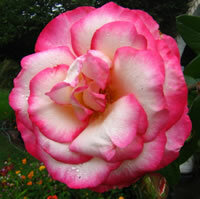 One good way of combating diseases like blackspot and mildew, which frequently affect roses whose leaves are constantly damp, is to plant your rose in a location that gets good air circulation through your garden. The more air that moves across the leaves, the more they can dry out and the easier it will be to keep them healthy. This is also a great time to rake up around the base of your rose Handel and clean up all the dead leaves and debris that may have collected there. Throw away this material in the trash along with your cuttings. 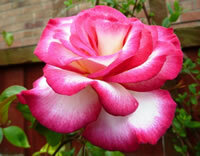 Never let rotting material lay around your roses as it could become a breeding ground for certain pests and diseases. 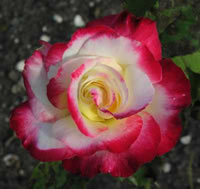 I always finish up my pruning by giving my roses a fresh layer of mulch to start off the growing season.